Almost four years after the nation’s first “food freedom” law was enacted, hundreds of new local businesses have sprouted across three states, and without a single outbreak of a foodborne illness. Completely exempt from any licensing, permitting, or inspection requirements, residents operating under their state’s food freedom act can create and sell almost any homemade dish imaginable, except those that contain meat. Homemade food businesses are also free to sell at farmers’ markets, roadside stands, and from farms, ranches, and homes, so long as they sell their goods directly to an “informed end consumer,” i.e. someone who knows they’re buying something not regulated by the government. Selling food freedom products across state lines or through grocery stores, restaurants, or wholesalers does remain verboten. After years of legislative battling, the Wyoming Legislature—by an overwhelming majority—approved the Wyoming Food Freedom Act, which took effect in March 2015. This sweeping reform quickly became a hit. Farmers, ranchers, bakers, and home cooks began hawking breads, cakes, cheeses, enchiladas, jams, jellies, kefir, kombucha, pastries, pies, pickles, salsa, sauerkraut, and tamales, to name just a few of the dizzyingly diverse dishes now on offer. Poultry farmers who raise no more than 1,000 birds a year can also sell their own chickens, turkeys, and any meals cooked with their birds. Wyoming’s food freedom law even allows for the sale of raw milk, rabbit meat, and farm-raised fish that aren’t catfish. Inspired by Wyoming’s display of radical common sense, North Dakota enacted its own food freedom law in 2017, followed by Utah one year later. Together, these three states have created new opportunities for both aspiring entrepreneurs as well as existing farmers and ranchers. Consider Richard Booth, who has been gardening and canning for over 40 years. Just east of Cavalier, North Dakota, he currently runs a market garden. Thanks to his state’s food freedom law, Booth has been able to expand his canning operations, which has reduced his unsold, surplus produce to “almost zero.” He’s found greater flexibility to customize his recipes and better suit his customers’ special dietary needs, like creating a gluten-free apple pie filling or sugar-free jellies. Today, Booth estimates half of his sales come from fresh produce, with pickling, canning, and jelling accounting for the other half. Determining the full economic impact for food freedom laws is challenging. By design, all three states lack any central government registry that could otherwise track and keep tabs on those businesses. But the data that can be gleaned is encouraging. Wyoming now has roughly 50 farmers’ markets statewide, a figure that’s grown by nearly 70% since the Wyoming Food Freedom Act took effect in 2015, according to a national U.S. Department of Agriculture directory that relies on self-reported data. 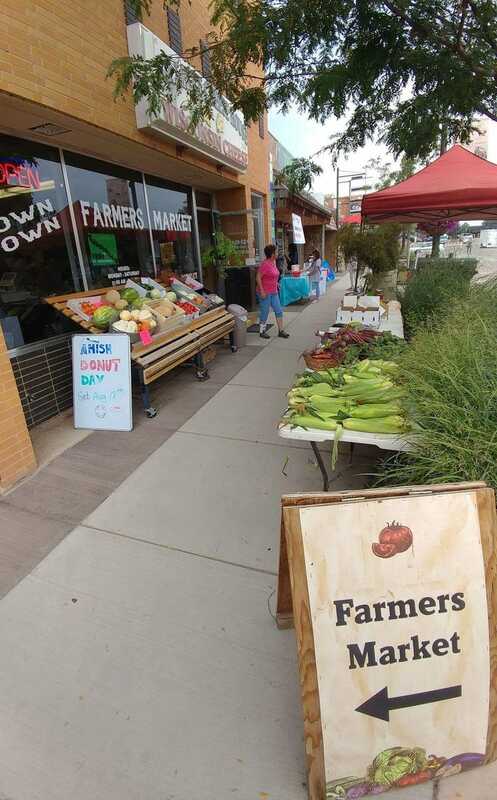 In North Dakota, the North Dakota Farmers Market and Growers Association estimates there are around 600 vendors at farmers’ markets, the majority of whom operate under the state’s food freedom law. And in Utah, nearly 300 businesses were operating under its “cottage food” program before the state’s much more expansive Home Consumption and Homemade Food Act went into effect last May. To protect the public’s health and safety, all three food freedom laws explicitly ensure regulators have the power to investigate any complaint of a foodborne illness. Representatives from the state health departments for Wyoming, North Dakota, and Utah all confirmed that there has not been a single outbreak of foodborne illness linked to a business operating under their states’ food freedom laws. The track record for these unregulated foods is all the more impressive considering 2018 was a rather dismal year for food safety. Last year, the Centers for Disease Control and Prevention investigated and advised the public on 24 multistate outbreaks of foodborne illness, the highest in over a decade, with federally regulated romaine lettuce, chicken salad, and even Honey Smacks Cereal all linked to outbreaks that hospitalized Americans. A few factors may explain this counterintuitive result. Since all food freedom products must be sold directly from the producer to the consumer, these foods are required to bypass any third-party establishments, like wholesalers, retailers, or processing plants, which can often increase the chances for contamination. Moreover, a reputation for quality and safety is key to ensure long-term success for budding entrepreneurs. “Word of mouth will make or break your business,” Rep. Lindholm noted. That’s especially true in the small, tight-knit communities where many bakers, farmers, and other food freedom business owners operate. By selling improperly homemade food, “you’re risking not only your family’s health, but the health of your community, your friends,” said Frank Wallis, who runs the E Z Rocking Ranch and farm stand in Gillette, Wyoming. Once a raw milk farmer who regularly milked 16 cows a day, Wallis now specializes in selling fermented foods like kombucha and sauerkraut flavored with “whatever crosses my mind.” His best-seller is a garlic, dill, and peppercorn sauerkraut, while for Christmas, he concocted a cranberry and ginger sauerkraut. Like several other food freedom entrepreneurs, all of his sales are done through farmers’ markets. According to Wallis, Wyoming’s law has been “building community and helping our local food economy,” with more residents seeking out their local farmers’ market “instead of going to the big box stores.” Reforms like the Wyoming Food Freedom Act “made it very easy for a lot of small businesses to start,” he added. Wallis was closely involved with the act ever since its inception. His sister, Rep. Sue Wallis, was actually the original sponsor for the food freedom bill, who first introduced it back in 2009. 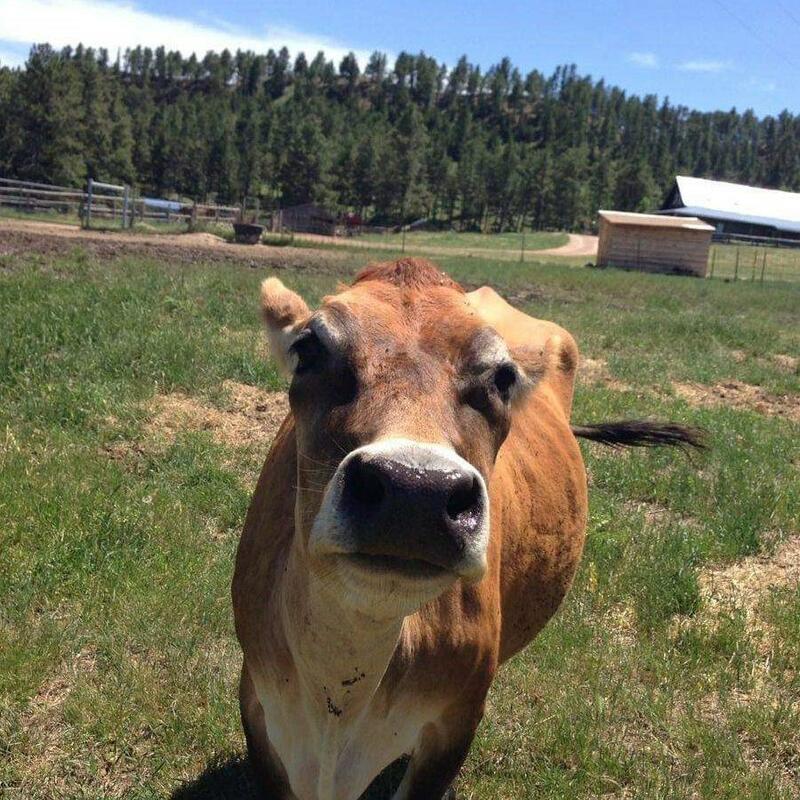 When she died in 2014, Frank kept fighting for the cause, attending hearings in Cheyenne, rallying supporters through the Farm-to-Consumer Legal Defense Fund, and working closely with Rep. Lindholm to get the bill passed. “We’re supposedly a free state, with a get-of-our-business mentality,” Wallis noted, yet it still took Wyoming six years to enact its food freedom act. As entrepreneurs like Wallis know first-hand, demand has been surging for local food. Over the past decade, the number of farmers’ markets nationwide has almost doubled, growing from nearly 4,700 in 2008 to more than 8,700 in December 2018. Farmers’ markets, along with on-farm stores and roadside stands, accounted for more than $2.2 billion worth of local food products sold by farms directly to consumers in 2015. Now on the books in 49 states, cottage food laws have spurred the creation of thousands of new businesses (particularly in Arizona, California and Texas) and have become a key financial lifeline, particularly for women in rural communities. By letting farmers and bakers turn their own home kitchens into business incubators, states can empower entrepreneurs to test out a culinary proof of concept, without having to shell out thousands of dollars on renting commercial kitchen space. One study by the Institute for Justice, which surveyed 775 cottage food producers in 22 states, found that half were funded with just $500 or less in startup capital. Yet many cottage food laws can be overly restrictive. Unlike in North Dakota, Utah, and Wyoming, where residents are free to sell as much as they can under the food freedom laws, 27 states cap annual sales for cottage food businesses, which clearly limits their potential to grow. Nor do cottage food laws cover products that require refrigeration, preventing entrepreneurs from making and selling many popular dairy and fermented foods. Some state regulations though can be downright silly. Under the Texas cottage food law, the definition of “pickles” only applies to pickled cucumbers and excludes the sale of any other pickled vegetable. Over the summer, one retired couple even sued the state over this rule, which soured their plans to sell pickled beets and okra. In North Dakota, a new bill (SB 2269) would force home bakers to freeze any refrigerated foods before selling them. That would effectively ban North Dakotans from selling all sorts of Midwestern culinary classics, like potato salad, fruit salad, and many different types of cream pie. SB 2269 would also impose new restrictions on home canning and prohibit residents from selling juices, lemonade, and any other drink product concocted at home, which would further undermine the state’s food freedom law. Yet nationwide, the trend has been towards greater deregulation of homemade food. Home bakers, working with the Institute for Justice, are currently suing New Jersey, the sole state without a cottage food law. Last spring, Kentucky expanded its cottage food laws to include all residents, not just farmers. On January 1, California legalized selling homecooked dishes direct to consumers, though home cooks face a sales cap and tight limits on how many meals they can sell. This session, lawmakers in Alaska and Mississippi are considering their own food freedom bills, while legislation in West Virginia would dramatically expand that state’s cottage food law.